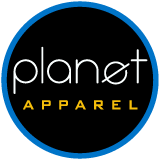 Planet Apparel offers the latest fashions along with many brands, colors, and styles of trucker hats. Pick from solid colors, camouflage and two tone colors available. Custom silkscreen and embroidery are both available. Purchase these today, inventory goes fast! Description: Popular and good looking without the high price tag! Make this cap the star at your next group event! 5-panel cap, 100% Polyester Front, 100% Nylon Mesh Back Seamless Foam Front Panel with Lining, Matching Mesh Color Braid, 8 Rows Stitching on Visor Matching Fabric Undervisor, Matching Color Sweatband, Plastic Adjustable Snap, One Size. Usage: Great for fundraisers, school events, churches, golf towels and sporting events. You must purchase in dozens per color. Listed pricing includes a 1 color imprint at 24 quantity or embroidery with 5000 stitches or less. Standard Ship time is 10 working days. 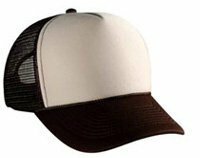 First choose the style of trucker hat you want. 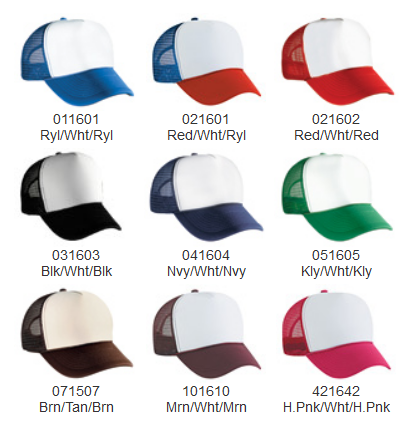 Decide which color of hat from the middle section and select from the right side drop-down box. Second, choose the quantity of ink colors your logo will contain. We can only go up to 4 colors. Third, type in the quantity of hats you want per color, per style. Fourth, enter a setup charge amount for the screen setup. If you have already entered in a previous setup charge than enter re-order. There is a one time setup charge. If you don’t enter it in on the order, we will charge you anyway once the order is confirmed. We will, however, waive the setup charge on 500+ hats purchased. Example: If your design is 3 colors, enter 3 colors and add to cart. Finally, after you finish the ordering process, upload your art and send us any further details you may want for your order. For Additional pricing Click here to Get a Quote or call us at (858) 569-2090.